funky wood and sweet wine and grapes. A nice counterpart to the 19 red wine. Typical Glenfiddich character. Balanced and for the 40% he is great. I had tested the Madeira because I wanted to get the set. The PVL is a bit too high for me though. Is close to the pain threshold for me. I decide that only after the complete rehearsal. Here the nose gets to feel the age. Oranges, apricots and a touch of lime behind them. Now a sweet vanilla with caramel and honey. Sweet dark fruits with spicy sweet oak anticipate. Bright chocolate on apple Helene in berry compote. Sweet and almost floral, it shows good balance. Wonderfully viscid he stays medium in the mouth. Sweet but quite dry with orange peel. Behind it the sweet vanilla again. Really nice and soft. Nothing is pressing. He always goes. Very similar to the Bourbon brother, but, as for me, a little less balanced. The influence of barrels from the Madeira is almost not felt. Balance 21. Light, fruits, dates, raisin, cake, marzipan, prunes notes on nose. Dates, apples, spices, roughness, raisin, sweet berries notes on palate. Spices, chocolate, vanilla, light dryness, sweet fruits on long finish. Super nice, for Madeirafans definitely a recommendation. 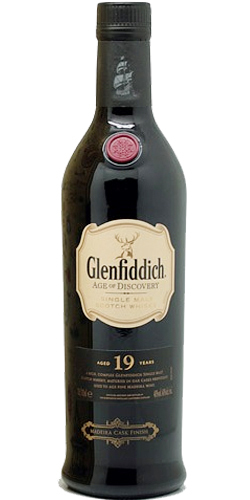 The flowery sweetness fits wonderfully with the delicate character of the Glenfiddich distillate. Unfortunately, as always slightly bottled, with 46-48% would certainly be a weapon. An absolutely fantastic nose that was not really matched by the taste and finish unfortunately but this is a good dram without doubts. I tasted this one in a vertical with the Caoran Reserve, the 125th reserve and the 15 yo distillery edition and this one was the winner. Also in that lineup there were two private bottling's of cask strength 15 yo and 21 yo which was amazing. 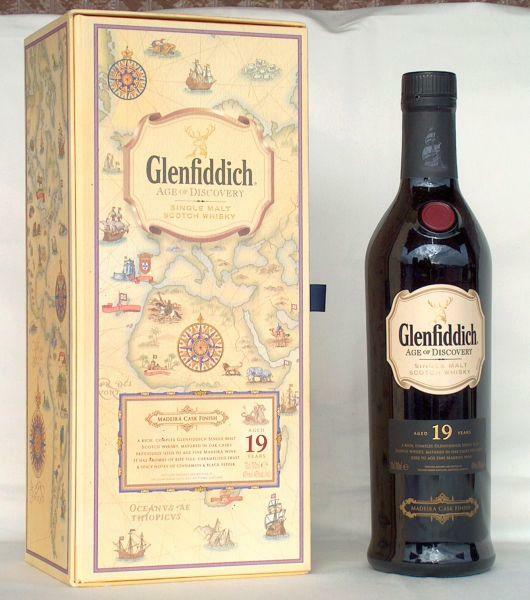 Nothing I have ever tasted in official bottling of Glenfiddich. 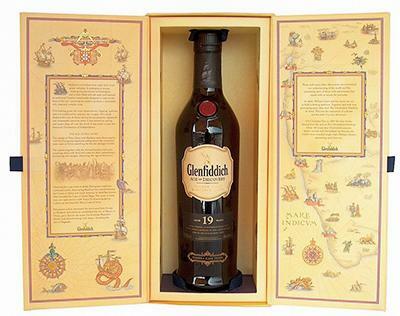 There is so much quality in their whisky but somehow much of it is usually lost in the regular releases. That's a shame. Closed to start with some cereal and biscuits but a fantastic aroma developed after 25-30 minutes in the glass. Well worth letting it calm down in the glass. Explosion of fruits, custard and icing sugar. Sweet fresh red apples as well as baked apples together with barley sugar and hints of cinnamon. Slightly bitter arrival with lemon and grapefruit. More barley sugar on the development with licorice and some fresh mint. Not as fruity as expected from the wonderful nose but some unripe fresh crisp pears are there. The finish is rather short with subtle spices and almost some sparkling mineral water with a twist of lemon in it. Not something I recognize in whisky everyday, thats for sure.